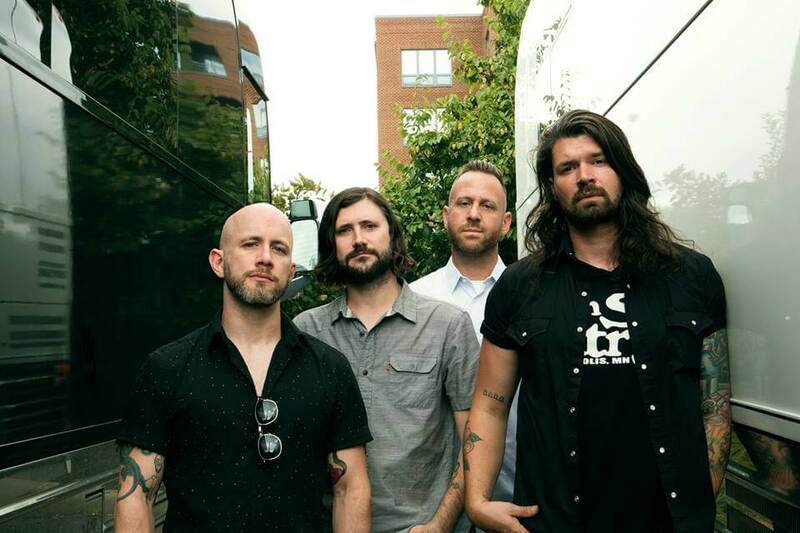 In 2019 legendary emo rockers Taking Back Sunday will be celebrating their 20th anniversary. What better way to celebrate than kicking off the year with the release of a retrospective new album and a tour of Australia. Taking Back Sunday will be doing headlines shows across Australia in January and are also part of Unify Gathering festival. We caught up with the bands bass player Shaun Cooper to reflect on the last twenty years and talk about the upcoming Aussie tour. How’s 2018 rating for you? Man it’s been a wonderful year. Was playing Riot Fest a bit of a highlight of the year? It always is, we’ve got to do it so many times. This year though was under unfortunate circumstances as Travis from Blink 182 was sick. He was dealing with a bunch of health issues and they thought he would be ready in time. But he wasn’t so we got the call about a week in advance. It was a great opportunity for us, we love Riot Fest it’s so much fun. Can you tell us a bit about these Holiday shows you have coming up in America? Do you play Christmas songs? No we haven’t been playing any of the Christmas songs. What happened was about five years ago we have some friends who work at Starland Ballroom in New Jersey. It’s about a two hour drive from my house. Our friends asked if we wanted to do some holiday shows in the area. We said that’d be fun. We are all festive guys and family guys. It’s close to home for me so we looked into it. So we did it and it went fantastic then we did it again the next year and this year will be the fifth year we do it in a row. We do one show on Friday, one show on Saturday and Saturday afternoon we do a big meet and greet thing with an acoustic performance with Adam and John. It’s a really great time and a lot of the money goes to support cancer charities. 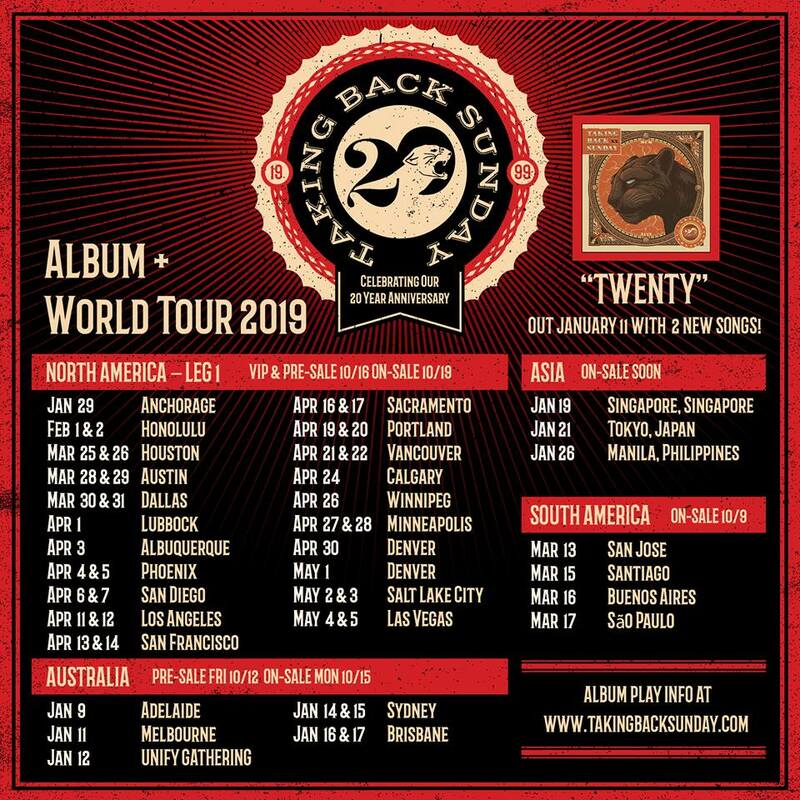 It’s creeping up on 2019 when Taking Back Sunday will be celebrating 20 years as a band. Even though you were gone from the band for a few years it must seem surreal that 20 years have gone by? Yeah because I still feel like the young, dumb kid who joined the band at the end of 2000. We didn’t have much hope of it doing any more than putting out a demo that maybe our friends would sing along to, then play some local shows and that would be it. So I feel like anything since we were able to do that has been icing on the cake. Twenty years is very surreal I can’t believe we are still doing it. I can’t believe the band continues to evolve and grow. We are closer now than we have ever been personally so it’s a really great time to be in this band. What was it like when you had the first taste of success with the audiences getting bigger? It was the thing I had been looking for my entire life and this was the early days before we signed to victory records. We had some songs and would play them but didn’t even have a proper demo yet. Our friends would come out to the shows and support us, they were very kind. But then we started burning the cd’s that we had made on our own computers, in the early 2000’s people still did that sort of thing. Then we would see things grow. Our friends were singing along and that was pretty cool but then the next week at a show I didn’t know half the crowd. People were starting to show up and the thing just snowballed from there. It really blew our minds so we thought this is great maybe we will get to tour one day. Then we booked our own first tour and we were sleeping on strangers floors. Adam literally from the stage would say does anyone have a floor we could sleep on tonight we barely have gas money to get to the next town. People would offer it up and we stayed with many a kind stranger. Some of the accommodations were a little lacking with a few cockroaches but it was fun man. I relish those days those are some of the best memories I’ve ever had. You are also releasing a retrospective album to celebrate 20 years aptly titled Twenty. What was it like choosing the track listing for that? It was pretty easy we know the songs that are pretty popular and we know the songs that we like. We wanted to add a little of every record on this release, it was a great opportunity to combine everything. We added two new tracks which we are very excited about too . I’m excited for people to hear those and see where the band is going. You are kicking off next year by touring Australia. I’m guessing you’re excited to get back down here? Oh yeah especially to get away from that New York winter in January, it’s brutal around here. Any chance to get out at that time of year is amazing. I’ve never really got to experience Australia in summer I’ve always been there around your fall time. So this is a whole new thing I’m pumped for it. We are going to go out in the sun and get a little tanned, maybe hit the beach. It couldn’t of been better timing when we saw the schedule. You will be playing Unify Gathering festival while in Australia. Are you looking forward to playing alongside some other great American bands like Underoath and Every Time I Die? Yeah Underoath and Every Time I Die are long term friends. Spencer who sings for Underoath actually filled in for Adam and sang for us for a bit when Adam’s son was born a little prematurely a few years ago. So we love those guys. And Every Time I Die we did a tour with last summer, they are such great guys it’s always fun to be around them. When you are playing your headline shows you will be playing Tell all your friends in full. What memories do you have of the recording of that album? We had no idea what we were doing. We had some songs that we felt very confident in but as far as execution in the studio we had no idea. It was on a very small budget, time constraints were crazy. Adam got sick so we had to push back his vocals for a little while. It was very stressful because at that time we felt like this would be our first and probably only chance at this. We wanted everything to be perfect and it was far from that. For that record to be so revered, people appreciate it so much and it blows my mind because it was such a wild chaotic process. We were the least professional band that you’ve ever seen. So that fact that it’s stood the test of time is a testament to those songs. We were babies, we had no idea back then. Do you have any memories of doing the video for “Cute without the E”? Yeah Adam had the idea for a long time. He fell in love with the move Fight Club, he bought a DVD player and that DVD and would watch it on a loop constantly. I think he might of lost his mind because he would watch it so often, it was kind of bizarre. It was a fantastic concept for the video having the girls beat us up. It was a really fun time and our first video with a real budget. Our friend Christian Winters did a really great job for a video of that level for sure. In some Australian shows you will also be playing Louder Now and Where you want to be in full. What’s it like for you having to learn all those tracks that you might not of played ever before live? It is a really cool challenge because every band I’ve been in I’ve always been in on the writing of the song. No one’s really told me what bass lines to play, we would bounce ideas of each other and people make suggestions all the time but it’s so much of me. So having to learn someone else’s work is not easy but I get so much out of it. I get to understand Matt Rubano’s playing, he’s a really outstanding musician. So it’s a really fun way for my brain to work and become a better musician myself. Well our drummer Mark and I have the same group of friends. We grew up together, we’ve been kind of best friends since we were six years old so over thirty plus years. So we will go to a little house party with some of our old school friends. All our kids play together and have a really fun time. We are usually back home by nine or ten at night. Maybe my wife and I will have a little glass of champagne and ring in the new year if we can stay up that late. It’s pretty non rock n roll. Lastly can you give us a message for the Aussie fans of Taking Back Sunday? When we get down there it’ll be a long time since we’ve played a tour. Australia is going to really kick off the whole worldwide tour with the 20 year anniversary. So we are going to come out swinging. I think the energy is going to be great it’s going to be a fantastic time. I know we will really be enjoying ourselves so I hope that translates and everyone enjoys the shows. Please come on out and join us I’m really looking forward to it. 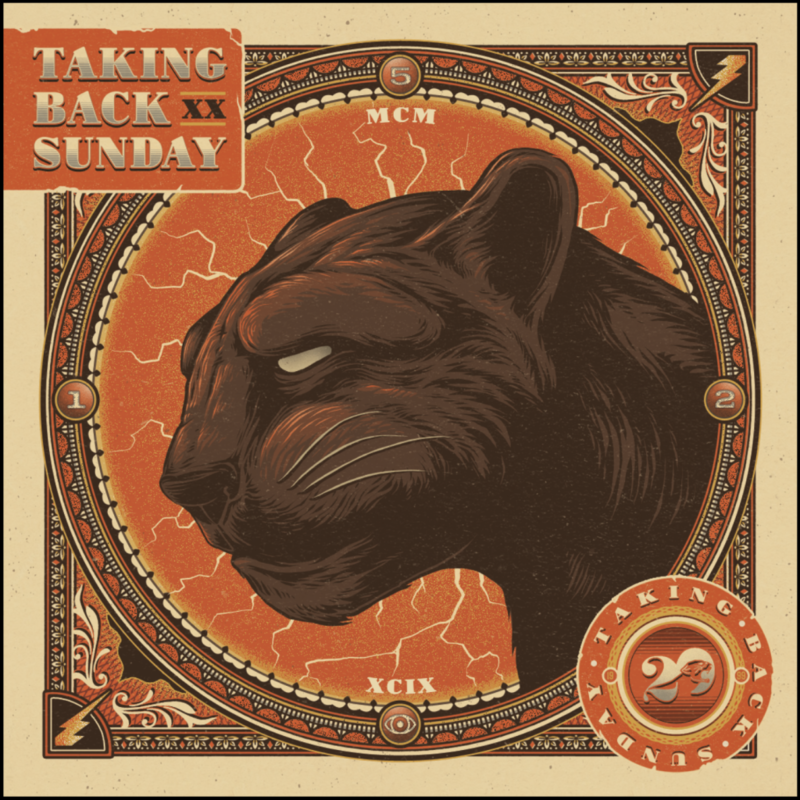 Taking Back Sunday are offering an exclusive 2-LP “panther’s eye” vinyl edition of the compilation, plus new merchandise via the band’s official store. Also available is a “koi pond” vinyl variant, offered exclusively from the Craft Recordings web store (in a limited quantity).